Here at Photores we can take your old, faded photo and give it a new lease of life by scanning it and reprinting it. We can also print it at any size you like, up to A3+ size. 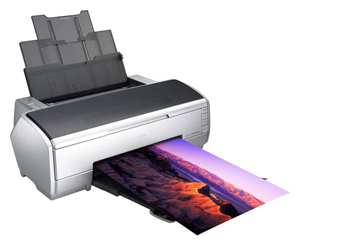 Our display quality photo printing is done using a high end Epson scanner and we always use original Epson inks and Epson papers to ensure that we get the absolute finest quality photographic print for you. Slide-Scanner.co.uk/Photores are based in Norwich, Norfolk, UK. But don't be put off if that seems a little way from you. We have customers all over the UK and have always provided 100% satisfaction. And if it is cost effective for us we will pick-up and return you slides to you personally - so if you are worried about losing your valuable and sentimental slides or photos, you can rest assured they are in safe hands. Slide-scanner.co.uk have satisfied customers throughout East Anglia, the UK, and beyond, including in: Norwich, Lowestoft, Ipswich, Bury St. Edmunds, Thetford, Great Yarmouth, Aylsham, Reepham, Holt, Blakney, Cromer, Southwold, Woodbridge, King's Lynn, Cambridge, Colchester, Southend, Aldburgh, Diss, Mildenhall, Ely, Littleport, Grimsby, Hull, Leicester, Leeds, Pontifract, Doncaster, Bath, Brighton, Briston, Portsmouth, South London, North London, East London, West London, Manchester, Birmingham, Leeds, Coventry, Derby, Nottingham, Sunderland, Newcastle, Liverpool, Walton-on-Thames, Milton Keynes, Northampton, Bedford, Luton, Oxford, Swindon, Poole, Portsmouth, Holkham, Burnham Market, Plymouth, Preston, Bolton, Bournmouth, Swindon, Exeter, Southampton, Barnet, Peterborough, Birmingham, Evesham, Tewksbury, Gloucestershire, Gloucester, Loddon, Stalham, Milton Keynes, Bristol, Kettering, Didcot, Rye, Cardiff, Bolton, Chester, Lincoln, Norfolk, Suffolk, Cambridgeshire, Rotherham, Carlisle, North London, France, Dubai, Ely, Wansford, Framingham, Halesworth, Weybourne, Powys, Ireland, Brentford, Stoke-on-Trent, Darwen, Blackburn, Bolton, Bath, Manningtree, Hampstead, Camden, Royston, Isle-of-Skye, Hove, Crick, Bangalore, St. Albans.